A desire for pilgrimage has been passed down through genetic memory. It is a journey of spiritual discovery, cultural expansion and artistic endeavour that calls you in some way. People have made these holy journeys since ancient times and are still naturally drawn to these spiritual trails today. There is foremost a sense of experiential participation; of gaining knowledge, spiritual depth and an indescribable soul expansion that brings a calming renewal. The walk itself and often overseas travel to arrive there is a purposeful physical test. Your desire to reach your holy destination is a sacred pledge unto yourself. You can almost feel your ancestors and previous travellers walking along with you. Though your legs are weak something moves you onwards, calling for you to push beyond your limits. As an initiate you feel comforted and serene through your body calls for rest. The path leads onwards and step by step you are closer to yourself and your understanding of spirit than you have ever been before. 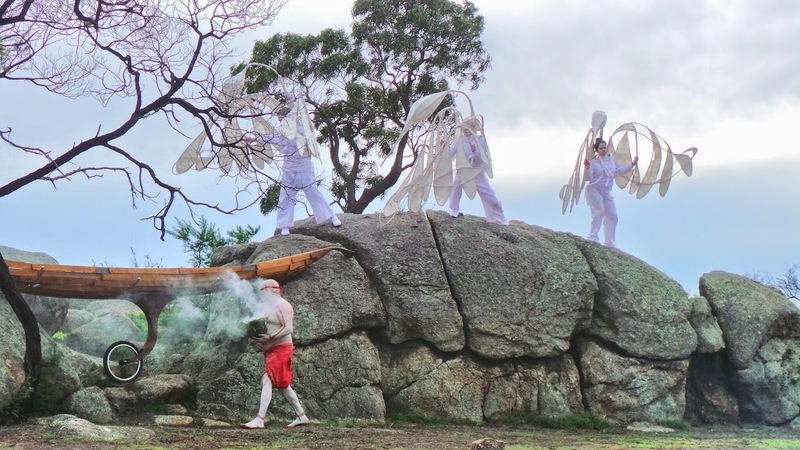 Indigenous songlines, pilgrims ways and spirit trails, express our strong subliminal connections to sacred places and cultural traditions, but especially to ourselves. Those that traverse these often challenging paths have truly come to close to spiritual understanding.